In a hip-hop scene as developed and competitive as Senegal’s, the cypher continues to act as a platform by which talented, young rappers make their debut. The fast-paced intensity of a hip-hop cypher is the perfect way for new artists on the scene to prove to their worth to the public. And in a society where women must give it their all to make an impression in the musical community, the cypher allows female MCs to show everyone that they are just as lyrically passionate and complex than their male counterparts— if not more. The Galsen Hip-Hop Awards (GHHA) releases an annual series of cyphers featuring noteworthy Senegalese artists, and one cypher every year is dedicated to the most skilled female MCs on the scene. Last year, for the 2017 GHHA cypher, six female MCs established their lyrical prominence in both Wolof and English. Sister LB, Black Queen, Mina La Voilée, Regina Tounkara, Lady Zee, and Aida Sock contribute to what makes for a catchy and rhythmic collaboration of skilled rappers. Their seamless flows and biting styles transitioned wonderfully from artist to artist as these MCs not only cleverly combined English and Wolof lyrics, but also displayed a few beautifully sung lines in addition to their rhymes. 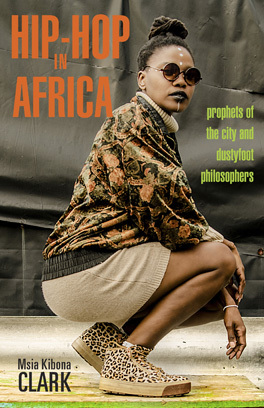 As a collection of female MCs, these artists utilize a degree of braggadocio in their performance on the cypher in order to rightfully establish their skills as contemporaries to Senegal’s prominent male rappers. Their verses included references to their abilities as rappers as well as their credit within the hip-hop community, a clear representation of these artists insistence that they will not be dismissed. While I admittedly could not understand nearly any of what was being rapped in Wolof, it remains clear that despite the language of the rhymes, the artists undeniably conveyed a unified message— that they can rap.